When a man bore his whole soul in song . . . Learn more about the story behind this photo here. When President Monson was particularly gallant . . . Image by Scott G Winterton via Deseret News. See more incredible photos like this here. When the new Primary presidency was compared to the Power Rangers . . . When they responded like this . . . When Elder Holland managed to work dinosaurs into his talk #coulditbemorepic . . . When Elder Christofferson showed us why dads are the best . . . When President Uchtdorf taught us the celestial language . . . Image from LDS Smile. See more funny memes here. Which only reconfirmed that this is true . . . 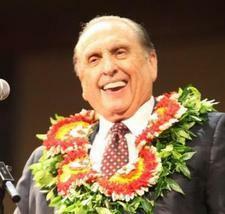 When President Monson helped us find our courage . . . When we decided we'd never forget this conference weekend . . . Created by Taft Memmott found on BYU Memes.